Last year ended with a climate of change. Since October I wrote of many, mostly positive, changes to the figurative political climate, but there was also a significant change to the actual, literal climate: average global temperatures. While some self-deluded right-wing ideologues still repeat the long-disproven assertion that the earth has not warmed over the past couple of decades (cherry-picking the record-breaking high temperatures of 1998 as their starting point, instead of using a more average year, and ignoring constantly-warming oceans), people who watch the data know 2014 was the warmest year on record, until 2015 exceeded even that. After a few years of what some took as mixed messaging, all indicators have lined up to show global warming and the associated climate chaos. While Arctic ice remains below average and shrinking, the tropical El Niño effect is lining up to be the largest ever. The warmer the oceans and winds, the more Pacific moisture El Niño carries onto land, bringing deeper floods, heavier snowfall, and overall more devastating storms. Usually reports of tornado swarms and their wake of death in the final days of the year are part of the year-end summary, recapping what happened in late spring. But this year it was current news: in the US, more tornadoes killed more people in December than the rest of the year combined, a first since record-keeping began in 1875. In the UK, not only did they have a green Christmas this year, they actually had the same temperature on the winter solstice (Dec 22 over there) as they had the previous summer solstice. The same temperature on midwinter as on midsummer! Insane! Without doubt, climate chaos is causing great harm already. Here in Barrie, we aren’t immune. While a green Christmas isn’t that unusual for us (I recall 3 or maybe 4 since coming here in 1999), it’s unheard-of for kids to be enjoying our parks in balmy 15 degree weather on Christmas break! For a regional economy heavily dependent on winter recreation, snowless falls mean significant losses of income and related hardship, even as our Out of the Cold program serves more homeless this year than last. Whether you go by how many winter days are cold and snowy enough to ski, or to snowmobile, snowshoe, ice-fish, the trend is downwards, with the clearest indicator being the steady loss in frozen days on Kempenfelt Bay, an undeniable trend observable for the past century. While we don’t face imminent extinction like low-lying islands or cities by rising oceans, we still share in the harm, and look at a world with growing numbers of climate refugees seeking nicer places, like Barrie, to resettle. 2015 ended a full degree warmer than pre-industrial norms, which is already half-way to the 2-degree internationally-agreed limit, two-thirds toward the safer 1.5 degree limit Canada helped promulgate in Paris last month. Clearly, if we don’t want climate chaos to worsen, we must start planning major shifts to our energy systems and find the fairest ways to achieve them without severe harm to those least able to afford such changes. 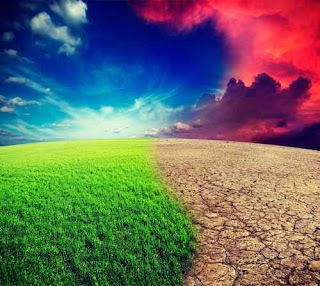 So while we notice climate change both globally and locally, we also need to work on both fronts to reduce our emissions and strengthen our efforts to minimize the coming harms. For the rest of this year, let’s never again argue whether climate change is a fact, and instead discuss the best, swiftest, most efficient ways to address it together. Published as my Root Issues column in the Barrie Examiner as "Indisputable climate change"